Here is the Original 50 people who been with us from the start. 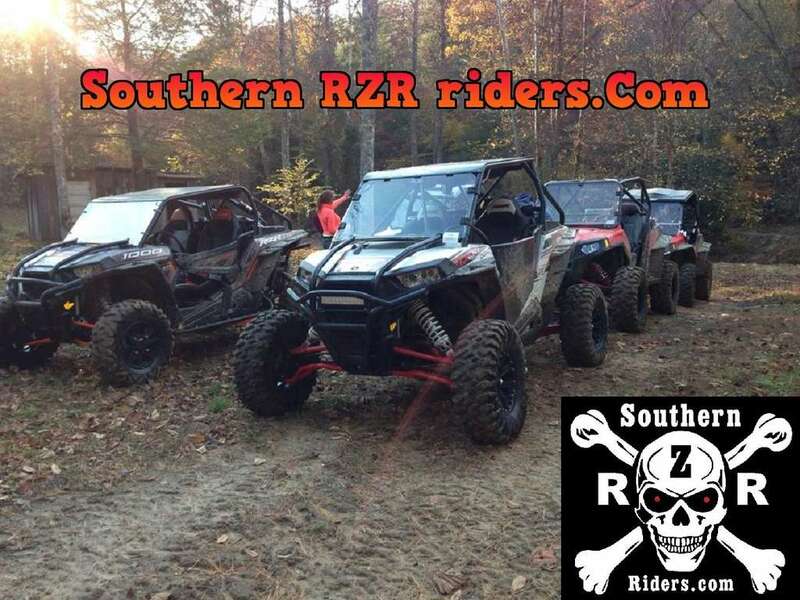 Who helped us get the Southern RZR riders started. Me and Gunny want to thank all of you for helping us get things off the ground. There will be no more Charter Memberships given out. You guys are great and we are glad you joined and helped get the ball rolling. Our plan for this forum is a simple one. To provide a place for RZR guys to meet and then go ride together. We never intended for this forum to replace or compete with other forums you participate on or ride with, just to offer another place for like minded riders to hang out and share their info and friendship. Also we would like to thank all you guys who have decided to show your Southern RZR pride by wearing and displaying the group logo! Everyone who see's it could be a possible new friend to ride and talk with and our ranks should continue to grow and give all of us more options on places and people to ride with. And then have it in a circular patch looking sticker (Black with white letters maybe?). Maybe have the dates in an arc configuration around the edge of the circle while the Southern RZR Riders is horizontal in the center in bold cool letters. A good place for placement (Administration Recommended) would be just above the "800 EFI" sticker on the left and right front of the RZR. I think it woul dbe neat because this group is going to get huge in a few more years. We will have a 100 RZR's going through the woods eventually. It will be pure chaos! My idea comes from the motorcycle clubs. They usually have something like this on their club vests. Just a thought, and I promise not to get mad if we dont do it, get mad and quit that is. I just saw that we are not a club, but the sticker would be cool. We have talked about having ride decals and the such, but costs have held us back, none of our stuff turns a profit once all the costs and fees are factored in we just do it to help the group grow. We have a good bit of our money invested in the decals, and other items we have now so if your running Skull Boy we appreciate it and thanks for helping let people know where to find us. How do I post on this forum, have been trying for 2-days in for sale. have a rzr for sale, I post, it doesn't show up ? all your posts are showing, check your computer, im deleting the many double and triple posts your doing. but your for sale post is here so please fix the issue on your end.